I’m a passionate mom on a journey and essential oils are a part of that journey. From natural childbirths in a birthing center to essential oils, this mom wants to search for drug-free ways for our family to experience life. While new at oils, I’m a fast learner and would love to learn together with you. With experience working for an investment bank in New York City to seminary and ministry in the church, I have a breadth of skills and experience to help you on your journey to wellness, purpose and abundance and to help your home-based business succeed and multiply. I live in Dallas, TX, but can help you no matter where you live! I added Peppermint to my water and immediately could breathe much deeper! It was great! After work each day, I come home and rub Lavender on my neck, and every muscle in my body just liquifies! Since my 13-year-old daughter has started diffusing the oils in her room, we have had peace and harmony in our house! I just ran out to the store and left my husband soaking in an Epsom-salt bath with Panaway, my 7-year-old in an Epsom-Lavender-Lemon bath, and my 4-year-old in an Epsom-Digize bath. I don't ever want to be without the Ningxia Red. I really like that...a LOT! The minute my husband took the Ningxia Red sample, he felt something. I have to get it today! The Deep Relief Roll-On is amazing. I put it on my shoulders and could tell the difference within minutes. I put two of them on my essential rewards order and am going to give them to my kids and anyone else I can think of. If they don't want it, I'll just keep them all, it's that great! My mom uses the Deep Relief Roll-on at night on her feet. Her feet used to wake her up and keep her up, but now she just puts the Deep Relief on and goes right back to bed. I've been using the Black Pepper in a roll-on at night to support mental clarity and the long-term health of my brain and memory. I love the Lavender at night in the diffuser. I want giant bottles of it! I've been using the Digize oil for digestive relief after eating (really all the time I need it). One particular time, I really needed relief, I used a drop of Digize on my tongue and it's almost like instantly [it] went away. My 7 year old daughter has her own bottle of Gentle Baby oil with a roller on top. She uses it every day, and we've noticed a huge change in her attitude at school. Five minutes after putting OrthoSport massage oil on my knee, I can already tell that my knee feels looser and better. Purification in the diffuser is a godsend! I have a place where two of my toes rub and rub. I've tried everything to make it better. After getting my starter kit, I scraped the area off, put Lavender oil on the spot, and now after a week and a half, it still hasn't come back! It's usually back in 2-3 days! Just wanted to tell you that I am enjoying my "oils"! I put the peppermint in my diffuser in my bathroom each morning, and when I take my shower, it smells so good, I feel like I am at a spa--ha! I love these oils! I would have them all if I could afford them, and lots of the supplements too! I really like that cream for pain--Cool Azul-- boy, that has really helped my back and shoulder and I've loved all the other stuff I've taken! Contact this passionate mom on a journey about leading a natural, drug-free lifestyle together using essential oils. You can also contact me about starting a home-based business. Can essential oils help? I’ve been interested for at least a year in learning about essential oils, but never felt I had the money to take the plunge. But finally, the timing was right and I dove in. We needed help. We wanted to get off some of our seasonal medicines that were causing huge side effects. Could they help we wondered? I finally decided to buy and see. Test and see. Explore. To question and to seek answers. We have just begun this journey but are excited for the road ahead! Come journey with us and see if essential oils can help you too! My kids love their essential oils. I wasn’t sure how to start out with kids at first. I was concerned if they were safe for them or not. I had read lots of scare pieces on the internet about keeping them away from your kids, as if they were dangerous on par with all the chemical cleaners I have in my garage (which we’re replacing, by the way with Young Living’s amazing plant- and Thieves oil-based products). I was very cautious. I started with Debra Raybern’s Gentle Babies book and listened to a great class by Crown Diamond Courtney Critz, who has many kids, and Young Living’s podcast on using oils with kids. They all helped me, along with a little experimentation, to feel more comfortable starting slow with my kids. The first thing we did was to just diffuse the oils that we were using for ourselves. My three-year-old especially loves the diffuser, though my seven-month-old certainly benefits from their therapeutic effects as well! We diffuse Lavender and Cedarwood at night for a peaceful night’s sleep and to calm our bodies and minds down. During the day you’ll find us diffusing any combination of oils to match whatever mood we’re in or need that we have. We love Peace and Calming II. The smell is amazing and it does what its name says. We need lots of it with two small kids! Next, I started using the oils diluted on their skin to support their bodies’ systems. We use Thieves on their feet for overall wellness and immune support. We use the kid’s Owie for any boo-boos or topical needs. I love the Tummygize too for their small stomachs when needed. I’ve started branching out and getting more creative as I’ve gained in confidence and realized how beneficial the oils are to the kids. We used Cedarwood and Lemon on the back to support healthy breathing. Copaiba and Clove diluted on the feet for supporting new tooth growth! Third, I now even let my 3yo take sips of my daily Ningxia Red. He loves to have his one sip of Ningxia. He asks for it each day. 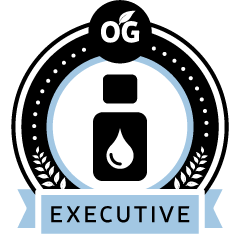 Fourth, we use Young Living’s other kids products to make sure we’re staying away from toxic chemicals and using only the best, plant-based, oil-infused products on our kids. We now use the Tender Tush diaper ointment, kids shampoo and bath gel, toothpaste. My kids love their oils. My 3yo can smell the oils and tell you which is which. He asks if it’s a hot oil or not. He’ll tell you which ones he likes to use. It’s been so great. And even though my 7mo can’t talk, he is very expressive. He always calms down when I put some oils on his feet or chest. He knows I am doing something to help him out. The panic in his eyes goes right away when he sees me tending to his needs. So, while I was cautious at first, as we’ve continued using the oils, I’ve grown in my confidence in using them on the kids. I have seen them work time and time again to soothe them and bring peace to our home. My kids have welcomed the oils with open arms and I find such joy in knowing that I am caring for them with healthy alternatives for their little growing minds and bodies. I am so glad that we now have Young Living in our life and I don’t have to stand at the drugstore counter reading all the labels on the bottles to determine which is the lesser evil to be giving my kids. There is only positive with the oils. I love it! Keeley is a Dallas essential oils distributor. Use the contact form to get in touch with Keeley. Want to learn more? Contact Keeley Chorn — A Dallas Young Living essential oils distributor.